Hi! I'm Nicole Martel, your local dog trainer and behavior therapist, serving all of Westchester and Putnam counties and much of the Bronx. I can help you to communicate with your dog and to teach him/her the rules of your home in a simple way that is gentle but extremely effective. 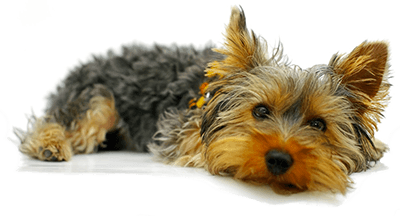 Whatever the issue, I will help you transform your dog into a relaxed, well-mannered household companion who is a pleasure to be around. We will begin our training right in the comfort of your home (aka the dog’s “den”), because that is where we can get the most attention from the dog, it’s where most problems occur, and it’s where we can obtain the fastest results. When I arrive at your home, I will diagnose the situation and customize an effective training plan to address your dog's unique personality and issues, relax your pup, and bring peace back to your home! You will become the “leader of your pack” so that your dog will trust, love, and respect you, and you will be able to enjoy your dog’s company to the fullest. I use only dog-friendly, non-food-based, and non-physical methods (no shock collars or harsh methods ever!). I can help you with all types of aggression, barking, housebreaking, separation anxiety, jumping up, door rushing, nipping/biting, pulling on the leash, obsessive-compulsive behaviors, chewing/destructive behavior, leash reactivity and aggression, overexuberance, sibling rivalry, and much more. You name it ... ANY AGE, ANY BREED, ANY ISSUE! I’ve always loved dogs and been fascinated by how they behave and interact with us. I first became familiar with Sylvia and Danny Wilson’s methods for training years ago when I hired a Bark Busters trainer help me with my own dogs. At the time, I had a very timid Bernese mountain dog, an elderly Chihuahua who was a bit of a tyrant, and a lively little bugg (Boston terrier/pug mix) who was ruling the house. My household had gone through a lot of major changes and stresses in a short period of time, and it was taking its toll on their behavior. I will never forget my first lesson, because it changed the course of my life forever. Not only did I witness my own dogs’ behavior transform before my eyes, but seeing firsthand the impact of these amazing methods over the long term inspired me to change my own career path and to become a behavioral therapist and trainer myself. To be able to share my experience and to help other dogs and people change their lives is truly a dream come true and something I am thankful for every day. I truly believe that our method of training is the best, and it brings me great joy to see how well dogs universally respond to it. I have yet to see a dog that does not respond to this style of communication, because we’re communicating with them in a way that is instinctive and natural to them. We’re not trying to make them into mini-humans. We’re helping owners to understand how their dogs’ canine minds work and how to most effectively communicate with them and to tell the dog to “stop and pay attention” in a way he instinctively understands and responds to without having to rely on treats and without hurting, scaring, or intimidating the dog. Our methods succeed where others fail, because they enable you to communicate with your dog in a way he actually understands. When you start thinking like a dog, suddenly your dog’s behavior will all make sense, and you’ll understand how to communicate to tell him to stop any unwanted behaviors. And, because you’re going to communicate with him in his language, he’ll understand and respond. One of the best parts of my job is watching owners achieve this communication with their dogs and seeing the looks on their faces when the dog responds and focuses his attention on them for the first time. It can really be a magical moment! Each dog is different, and I always tailor what I do to better accommodate a particular dog or owner personality, family situation, environment, etc. But the beauty of it is that the dogs ultimately “get it”, and we accomplish it together in a way that builds and enhances the dog-owner bond, along with trust and respect between the dog and owner. That is one of the things that I like best about our techniques. As a trainer, I always focus on listening to my clients and their concerns and needs and delivering results that address those. One of clients once referred to me as a “little pet detective,” and I love that characterization, because it truly captures what I attempt to do when I enter a new lesson. There is no “cookie cutter” solution; it is all tailored to the individual dog and situation. I come into the home and assess the situation and design a training plan that will get my clients the best results quickly. No matter how seemingly complex or unusual the problem may be, I can devise a solution to address it. It’s my pleasure to work with dogs of all ages, breeds, and sizes, and I love that we are even able to adapt these techniques to help dogs who have physical limitations, such as being blind or deaf. I’ll never forget the first lesson I had with a dog that I suspected was deaf. The way that dog looked at me at the end of the lesson and the kiss he gave me on my chin will stay with me forever. It truly felt like gratitude, and it left a huge impression on my heart. So many dogs end up in shelters and being euthanized because we, as humans, have failed to understand them and to meet their needs. I see dogs every day who have issues and are either in danger of losing their homes or have just been rescued and need to get their behavior straightened out so that they can fit in to new homes. It is my mission to be able to help owners understand and meet their dog’s needs for appropriate food, shelter, entertainment, and most important of all safety. A dog that feels safe is a happy, relaxed, and well behaved dog, and I love being able to empower people to provide that critical feeling of safety for their pups. I was able to provide that for the newest member of my pack, my completely deaf Boston terrier. He came to me a little over a year ago with a host of issues including obsessive-compulsive disorder (OCD), separation anxiety, and food aggression. It has been my pleasure to be able to work with him to resolve his issues and to help him adjust as a relaxed, happy, and extremely loving member of my pack. I love working with all dogs and puppies, but the progress I’ve seen in him and the lessons I learn from him every day have given me a special soft spot for working with deaf dogs. So, however severe your situation is, please don’t give up on your dog, reach out to me! I am available 7 days a week (evenings too) to work around my clients’ hectic schedules and to allow time for the whole family to be involved. You’ll be amazed when you see how your dog responds to you right in the first session, and then with practice, you’ll continue to improve and fine-tune your communication, achieving lasting results. And if you ever need help or have a question, remember that with our Lifetime Support Guarantee, you’ll have my support and assistance for the life of the dog anytime you need it. 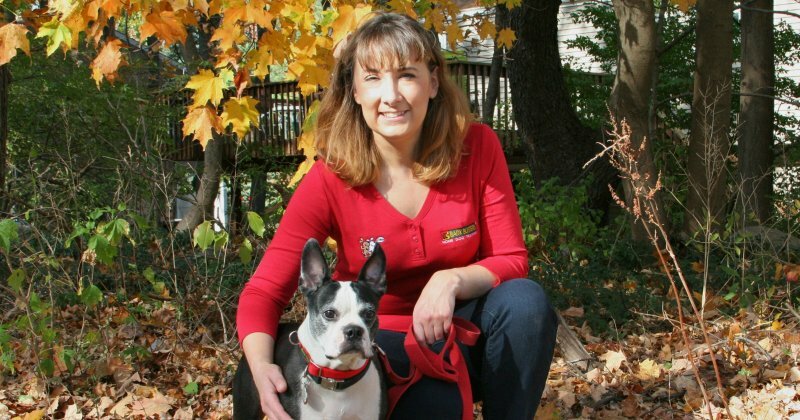 Visit my personal website: https://dogtrainingwestchester-putnam.com/.